Perhaps more than any other software technology choice, Customer Relationship Management (CRM) solutions require a high degree of self-awareness on the part of businesses. Scores of CRM software implementations that failed to meet expectations bear a recurring theme: if you don't understand how your company handles customer data and customer relationships now, you can't make decisions to improve data and relationships for the future. The mismatch between what businesses think they do well and what they really do well helps doom some CRM projects before they ever start. Likewise, deciding on a CRM software vendor is infinitely more effective when you know specifically what in your organization works, what doesn't and what you want to improve. So why the continuing CRM project problems? It's because in business today, there seems to be a great fear of admitting you don't know what's going on. Many people see that admission as a career limiting move, so instead of engaging in some introspection and investigation, they create assumptions, often based on an alternate reality that favors their particular job circumstances. For example, many sales people, when asked why they're having a tough time with sales effectiveness, will draw a picture of the problem that emphasizes the failings of marketing. There may be a nugget of truth to it, but it overlooks other issues that should be fixed, too. Creating that alternate reality keeps you from understanding your problems. And when you don't understand your problems around customer data and customer relationships, you minimize your opportunity of being able to leverage CRM strategy and CRM systems to fix those problems. I'm sure the occasional shot in the dark sometimes pays off. However, the vast majority of decisions around customer strategies made in an "intelligence vacuum" end badly. The introspection and investigation period is critical. If you're beginning your software selection project, have you identified specifically why your existing CRM system, or manual processes, fail to deliver? If you're tuning up your CRM process and technology, how have your customer issues changed since you implemented your solution? How have your processes changed – for whatever reasons – and how have those changes affected your ability to work with customers and satisfy their needs? These things evolve, and without periodic check-ups – done with open eyes – you can turn even credible solutions obsolete in short order. 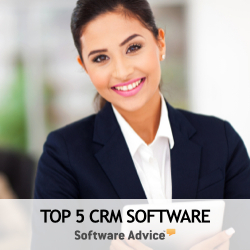 If you're looking to implement CRM software for the first time, you know you have issues to deal with. Do you understand what those issues are, down to the root causes, and how your processes deal with them now? If you don't, you run a significant chance of making a bad vendor choice and getting a CRM software solution that doesn't address your problems. Then, you'll have two crises to work on – the original one hampering your business, and the new one of managing a balky CRM software investment. This process requires the organization's executive sponsor, project manager or "CRM champion" to sit down and map out business processes, problems and people and make honest assessments of how a CRM software solution can help address them. It can't be done by someone assigned to the task who then takes his findings to someone else for follow through; there needs to be a deep understanding of the issues in order for real action to take place. It also requires you as a business leader to admit that your house is not completely in order – if it were, you would likely not be looking to make a CRM decision. Admit you don't know all that's going on – it's the first step toward learning that critical information. If you can't bring yourself to do that, or if you discover that the map you start drawing becomes to confusing to unravel, ask for help from an outside consultant. Good consultants have seen many organizations with similar problems and can provide an outsider's eye toward solutions. It takes a confident person to say "I don't know" when it comes to his or her business, but a small bruise to one's ego is much easier to deal with than a bungled CRM investment made from a position of ignorance. Let go of your pride, truly understand where your business is today and what it needs to do better by customers, and your CRM decisions will be much easier and rewarding. CRM solutions require a high degree of self-awareness on the part of businesses. Scores of CRM software implementations that failed to meet expectations bear a recurring theme: if you don't understand how your business handles customer data and customer relationships now, you can't make effective decisions to improve data and relationships for the future.